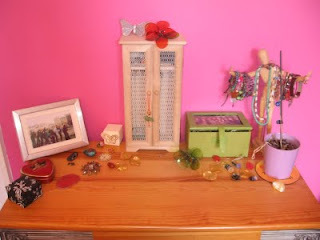 I just wanted to share with you a few tips and tricks I use to store my jewelry . This is where I keep most of it, on top of my chest of draws which is next to my make-up table. 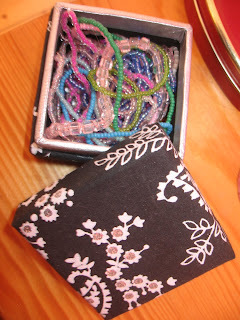 In the little black and silver box I have all my elastic bead bracelets which I used to wear when I was younger, haven't really worn them recently. 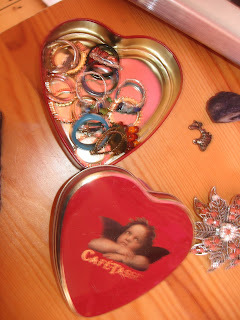 I keep all my rings in this heart tin. 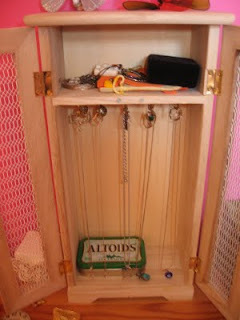 My chain necklaces are hung in this mini wardrobe, this came with cooking things in it but its the perfect height for the chains. I screwed rows or hooks in the bottom of the shelf to hang them from. On the shelf I have the little bags the necklaces came in and a few phone charms. In the altoids tins I have some pendants which I don't really wear that often. This green box has a little frame on the top which I have a photo of me and my friends on the last day of sixth form. 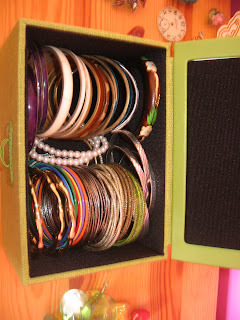 In here I keep all my bangles, as you can see it is full, if I buy anymore I have no idea where I'm going to keep them. I keep all my other bracelets and my watch on this artist dummy along with a few necklaces that don't go in the wardrobe or hanging up. This is also full so I need to find somewhere else to store any bracelets I buy in the future. 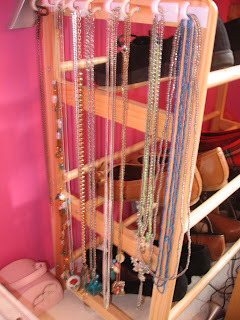 I hang all my long necklaces from my shoe rack. I've stuck hooks along the top of the rack to hold them all. 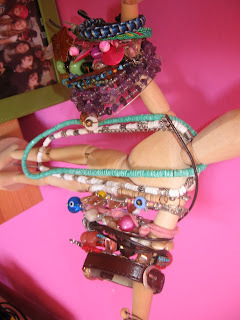 This one is also full at the moment but the hooks can hold more than one necklace so that solves that problem.